Aristotle taught us a valuable lesson about life, “We are what we repeatedly do. Excellence then, is not an art, but a habit.” We spend most of our lives doing things out of habit. What we eat, how we dress, sleep, walk, talk, and most importantly think. Some habits are beneficial to us, many are not. Negative habits can weaken and even destroy us when they get out of control. When those habits spin out of control our addiction is manifested. But you can create new super habits to break those previous addictive behaviors. Motivation is not enough to conquer bad habits. Motivation is what gets you started, habit is what keeps you going. 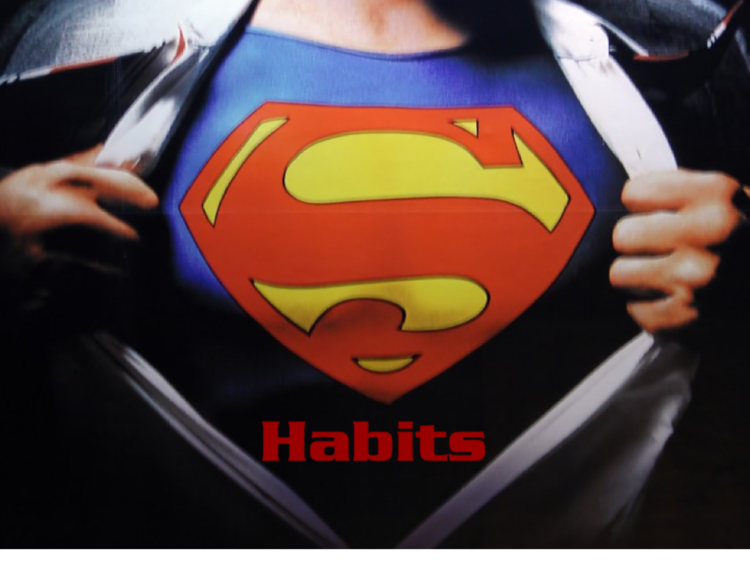 Super habits keep you in recovery. Habits like attending regular supports groups, donating your time to others in need, changing your diet, excercising, working, and making new friends are all habits of successful people. Implement some of these changes for the next thirty days and watch these super habits make a difference in your life.